Working in child welfare for any amount of time forces the rude awakening of the troubles we have in our society and the daily struggles that too many children have in the United States. There are children who are fatherless, motherless, or both. Many are taking care of their baby siblings even though they are babies themselves. Some can tell you how to prepare a crack pipe because they have witnessed it in their home. Others do not understand boundaries or safety because they have never been kept safe. Infants are born with the addictions of their mothers; or at least, the exposure of poor choices made while in the womb. If you do not believe or understand this, then I encourage you to spend a day with a child abuse and neglect investigator. It is deeply troubling when I hear people dismiss children as if they carry no purpose. I have written about this before in my post Where is Your Treasure? ALL children are vital to this world. ALL children are precious in the eyes of the Lord. He loves each one as if he or she is His only child. They teach us to forgive quickly, to slow down, to laugh, and to dream. They see things through the lens of innocence. They have great purpose in this world. Not to sound cliché, but they are the future and the potential fulfillment of all things good in this world. When I took this picture of my daughter above at a family get together, I could not help but think about what the life of a child should be made of. Their lives should be filled with love, silliness, warmth, and parents. Their lives should be enveloped in family, memories, shelter, encouragement, and safety. 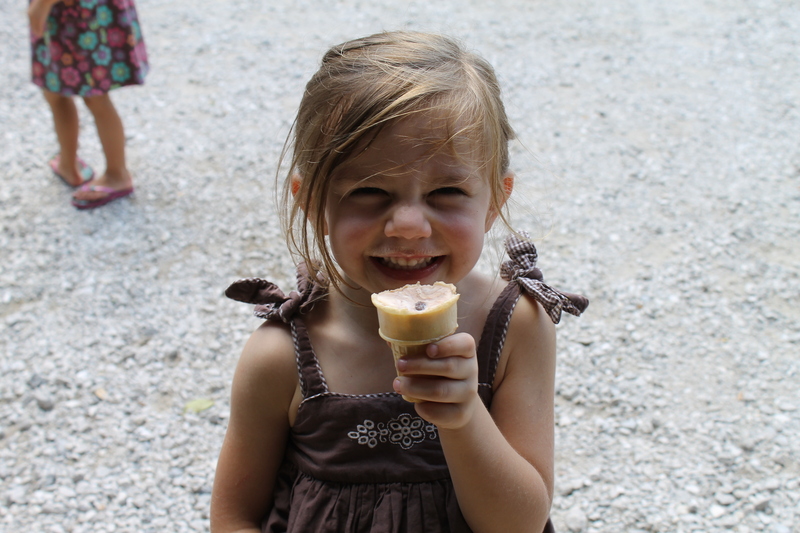 They deserve days filled with the warmth of sunshine, the laughter of playmates, and the sweetness of ice cream cones.